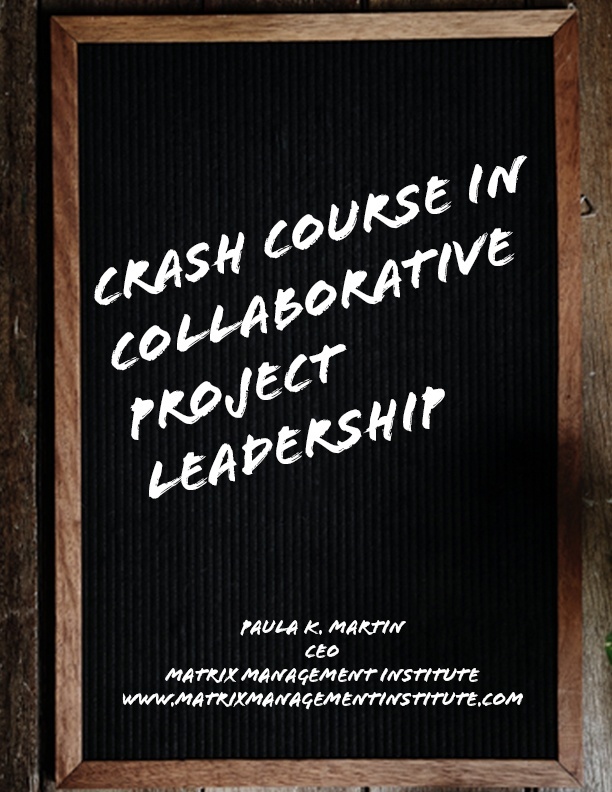 Take our Crash Course in Collaborative Project Leadership! It’s no surprise (to us, at least) that only 26 percent of all projects succeed. Leaders are being put into positions all the time where they suddenly have to lead a project or initiative that requires collaboration and active participation from stakeholders. If that’s you, consider yourself an Accidental Project Leader. But fret not, because we’ve developed this Crash Course in Collaborative Project Leadership that will not only put more of your projects and initiatives on a path to success, but it will also position you as an innovative leader. How you can ensure that your projects and initiatives will create a win/win for everyone involved. But wait! Before you download it, I need to warn you. Be prepared for awesomeness! People are going to look at you in awe and ask how you did it! Copyright 2018. All Rights Reserved. International Matrix Management Institute, Inc.